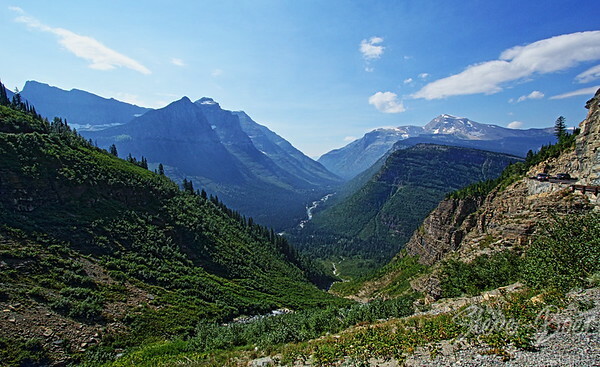 On our last day in Montana we spent some time in Glacier National Park again. Our first stop was at Logan’s Pass. We actually got there early enough to get a parking spot without having to troll around the lot like a shark looking for a stray seal. We hiked to the lookout for Hidden Lake which was nice except that it rained on us a bit which prevented me from getting some of the shots I had envisioned. These ground squirrels were so tame that they got close enough for Dawn to briefly pet one of them. I only had my camera about a foot away from them for this shot. Our second day in Montana we spent visiting state parks around Flathead Lake. They were nice little places to picnic, but the wasps were unbearable. They were bad enough even just walking around, but when we tried to sit and have some food they got too annoying. It was apparently a huge problem in the area as we could see half full yellow-jacket traps all over the place in each park. 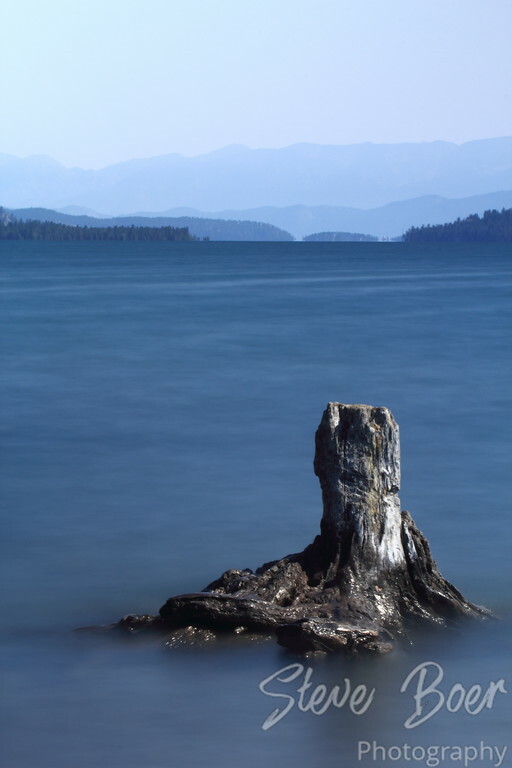 At least I was able to get this long exposure shot of a stump sticking out of the lake. I guess long exposures were a bit of a theme on this vacation. On the first full day of our vacation after arriving in Kalispell we drove to Glacier National Park and up the Going to the Sun Road. We knew we’d be coming back another day, so we drove in about half way and then started hitting some trails on the way back. It’s a very curvy mountain road that reminded us of the road to Hana on Maui. It was pretty fun to drive, but it would be really fun if only there was no one else on it… We were there on a Monday and all the places to stop were packed with cars. I can’t imagine what it would have been like on the weekend. Here is a shot from one point on the road. Thanks to my wide angle lens, you can actually see part of the road on both sides of the image. The scenery was pretty amazing, I will say that.